Sakai Guides and DocumentationSakai Complete User Guide NewsHow do I edit the News tool? 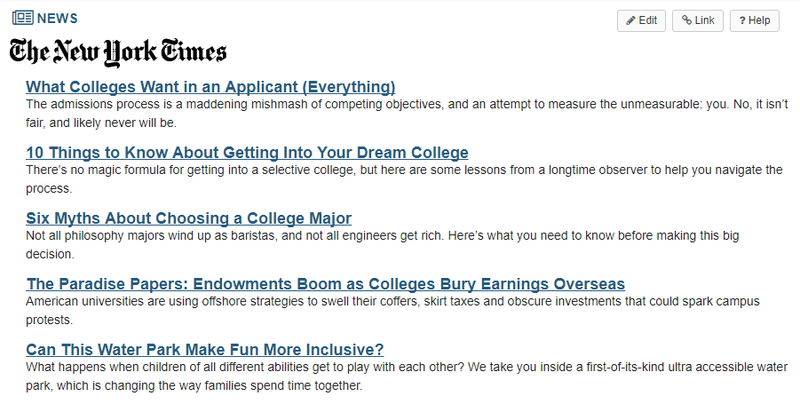 Enter or edit the News item information and save. Enter/edit the maximum number of items to display from this feed. 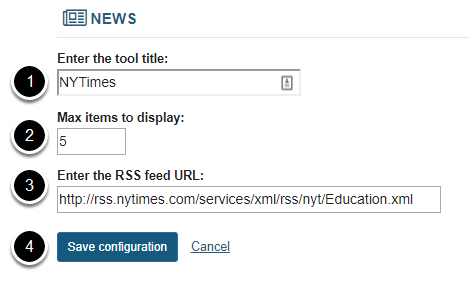 Enter/edit the URL of your RSS feed. Zoom: Your changes will display. Prev: How do I view News tool content? Next: How do I delete a News tool?